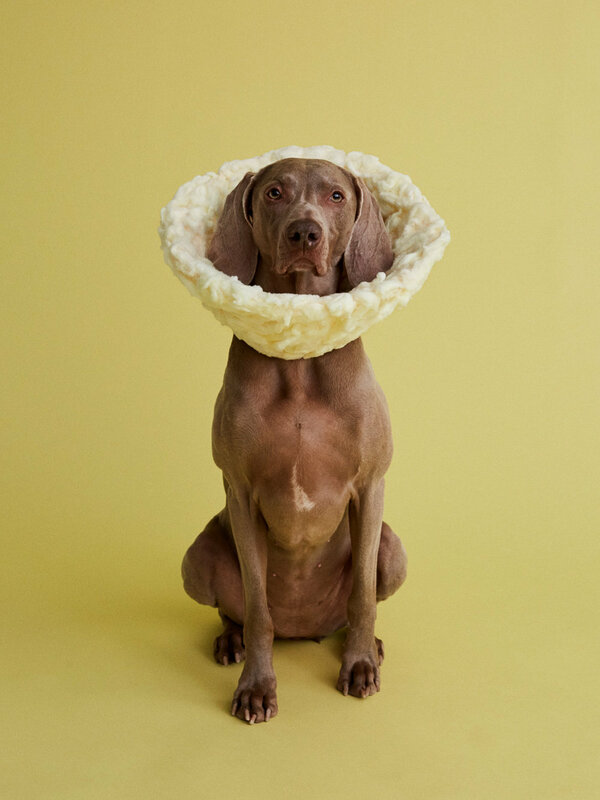 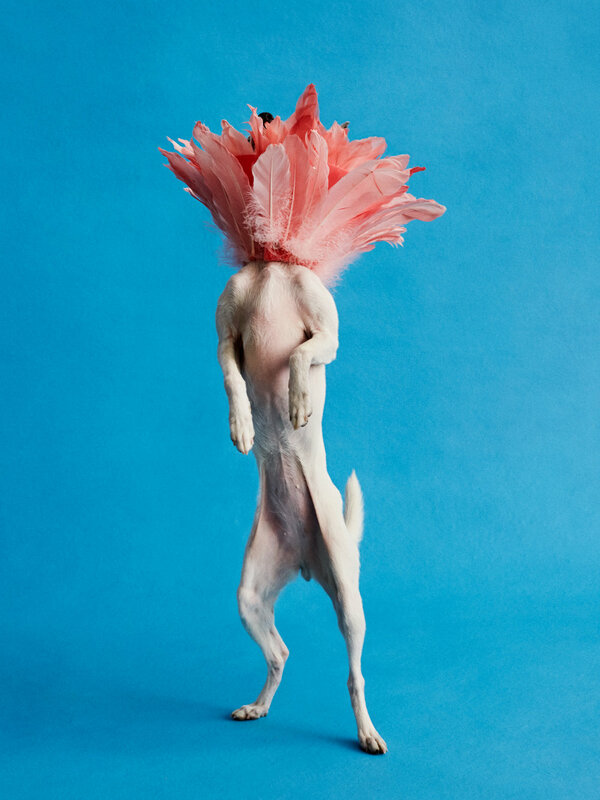 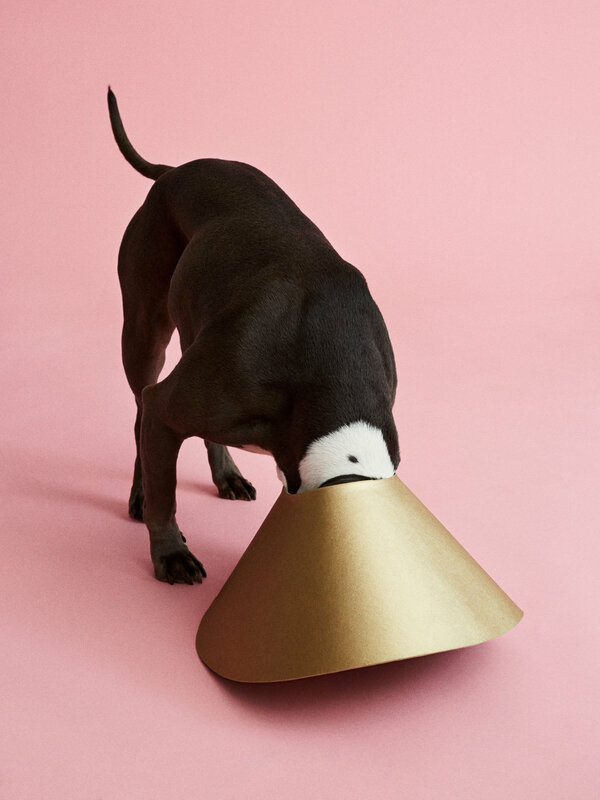 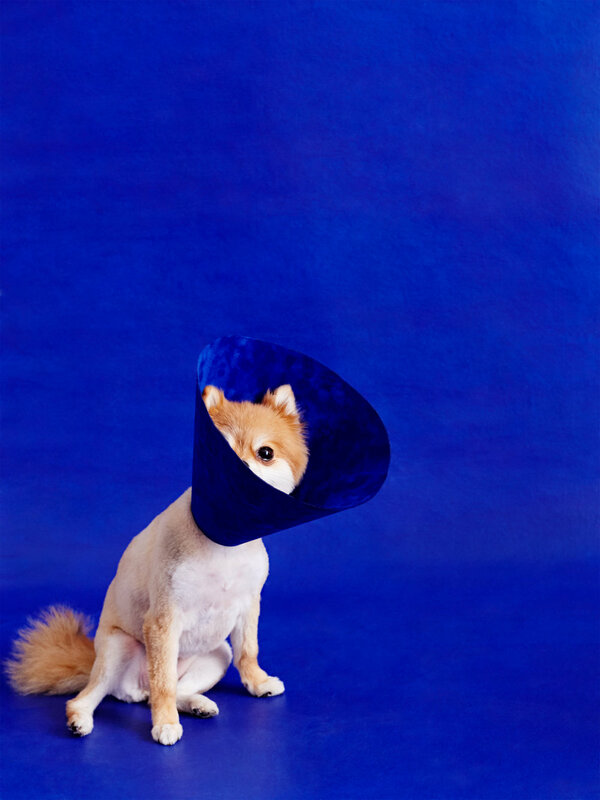 An ongoing personal project featuring dogs wearing the cone of shame - this series is meant to highlight and help raise money for rescue dogs who need surgeries. 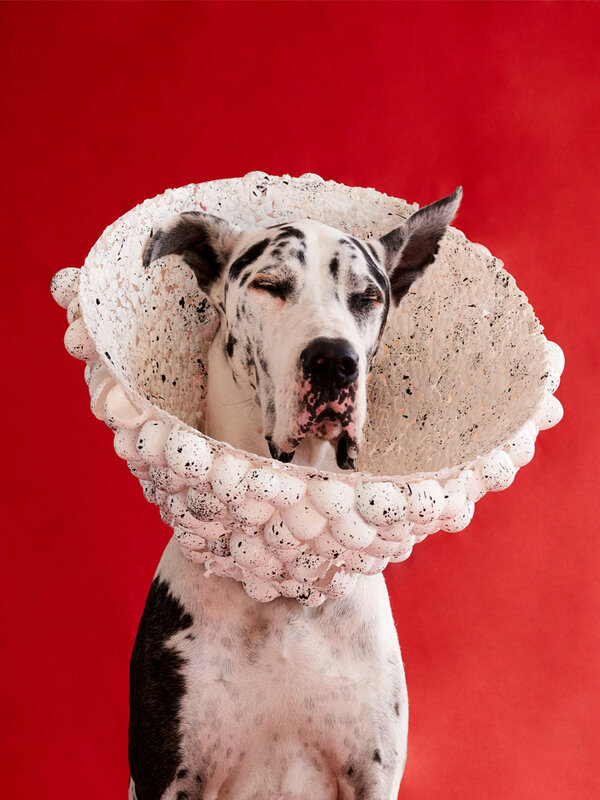 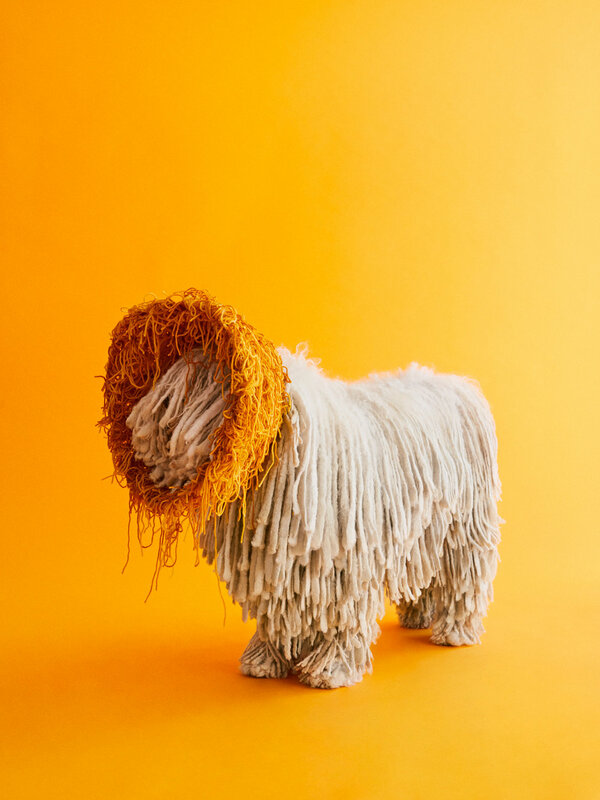 Each dog, cone, and backdrop has been conceived as a mashup of abstract shapes, tones, and textures. 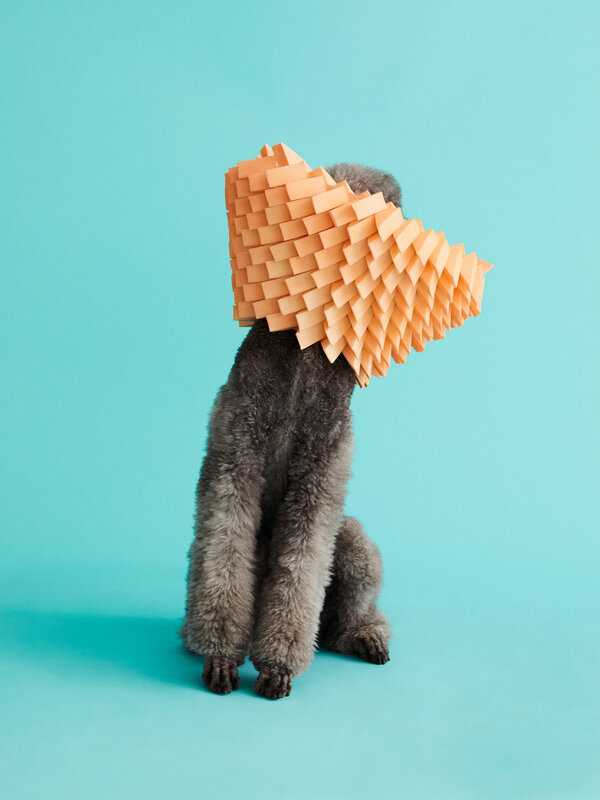 Prop styling by Marie-Yan Morvan.